Comfort counts in a handbag, too. 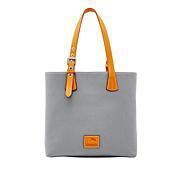 Like throwing on your favorite jeans, you'll feel great wearing this comfortable tote. Soft and slouchy, it feels natural against your body, and the long shoulder straps provide plenty of clearance. There's ample room inside plus 4 big pockets and that handy key leash we've come to rely on for fishing out our keys. Love the soft leather and size! Love the leather, love the color. The over all look of the bag is beautiful but, the depth of the bag is just too big! I love big big bags but when on the shoulder the bag really sticks out from the body. If it were closer to 4" it would be perfect! 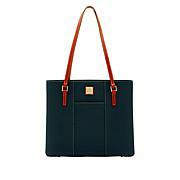 A smart handbag can do many things; a durable one can do more. 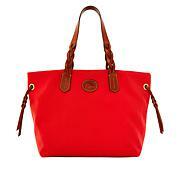 Dooney & Bourke embodies timeless design with handbags and accessories crafted in materials of unmistakable quality. Each piece pays compliment to your style approach, giving you confidence to embrace a highly individualized aesthetic. 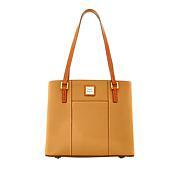 With Dooney & Bourke, you aren’t just buying accessories, you’re investing in a part of you.